Put our expertise to work for you. At JACK JONES MUSIC, we are proud to have received the following recognition for our contributions to the community as a premier provider of services for the Sherman Oaks area. “Seriously Frank” is as celebratory as it is iconic as it heralds such magnificent Frank Sinatra classics as “Teach Me Tonight” (featuring Dave Grusin), the timeless “For Once in My Life,” one of Sinatra’s signature songs--“It Was a Very Good Year”--and, of course, “The Best is Yet to Come,” which, for Jack Jones, is a definite possibility. The end result of Jones’ project is that it is a masterpiece—among the greatest albums with the best selection of Sinatra songs I have ever heard—and I have been in and around radio and television broadcasting for over sixty years. As Founder/Chairman of the Society for the Preservation of the Great American Songbook and Founder and Curator of WLML Legends 100.3 FM, our 24-7 Great American Songbook radio station in Palm Beach County, I have consumed legendary music, performed by amazingly talented artists of this genre all those years, and, without reservation, Jack Jones is the quintessence of what this time-honored music represents. He is unstoppable as a lyricist, stylist and connoisseur of all things Frank Sinatra. Anyone—anyone—who has the least bit of curiosity about Jack Jones and the Great American Songbook should sample “Seriously Frank” if, for no other reason, to own Jack Jones’ masterful rendition of some of the ageless music ever recorded by the inimitable Frank Sinatra. It’s a must for every collector to showcase in their music libraries. Jones is an amazing performer, appearing live at venues like Feinstein’s at Loews Regency in New York City, and the acclaimed McCallum Theatre, Palm Beach Desert, California, to the Palm Beaches’ intimate Royal Room at The Colony Hotel and premiere performing center of the arts at the Kravis for standing–room-only crowds, and it’s always the same. He still sends chills down my spine. It is his sound and appeal, his sophistication, sensitivity, humor, tenderness, and technical excellence that make his audience tingle. Jack Jones is simply magnificent. I adore him. 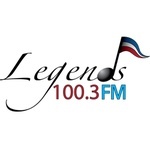 When Jack Jones received the Legend’s Award from the Society for the Preservation of the Great American Songbook and performed for Legends 100.3 FM in the Palm Beaches recently, he literally stunned the crowd. The captivated audience was on its feet throughout the night, clapping with thunderous applause, showing Jack Jones its love and appreciation for a feast of music they devoured unlike any artist who had performed there before. In “Seriously Frank,” the legendary Jack Jones is living the impossible dream in his celebration of the life of Frank Sinatra.